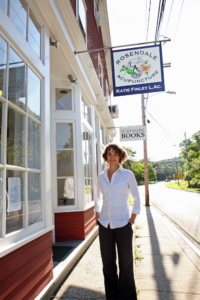 Rosendale Acupuncture is the practice of Katie Finley, licensed acupuncturist. Located in a renovated 1890's building in the heart of Rosendale, Rosendale Acupuncture offers compassionate, effective healing using modern diagnostic techniques, the ancient art of acupuncture and other Chinese Medicine practices. This website should answer many of your questions but please call for an individualized consult on how acupuncture and Chinese Medicine can bring health and vitality to your life.